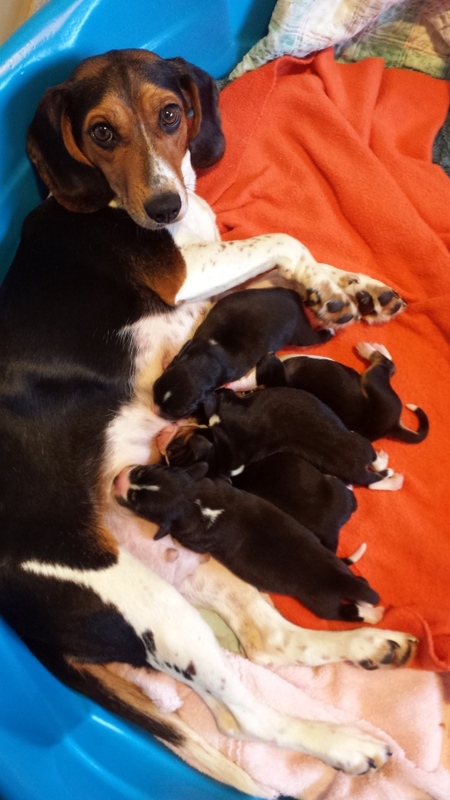 Our beagle rescue Clementine arrived in a KARE foster home just in time to deliver five healthy babies. Clementine was adopted to a loving home and she wrote this letter back to KARE. Well hello, KARE! I’ve been here for almost ten months, and life just gets better and better. I’m still walking my man and Moose every day (Moose is that other dog; he is usually tolerable.) 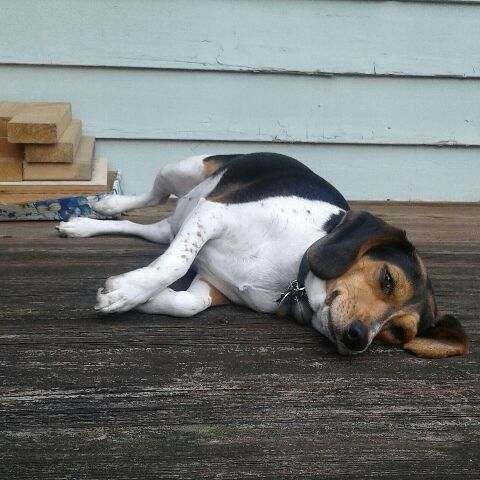 We meet lots of people and dogs, and last week I even found a dead bird to roll in. It was great and even helped mask that embarrassing shampoo odor. After a good walk, there’s a wonderful spot on the kitchen floor where the sun shines through the window. I go right into blissful sleep. Another favorite of mine is food. I don’t get treats as often because they say my legs are getting shorter – but once in awhile I use my big brown eyes on mom, and … They don’t realize who actually runs the house, ha ha. I’m so very happy when mom gets home from work, and we snuggle at the top of the stairs. But no wet kisses for me … I’m not that kind of girl. 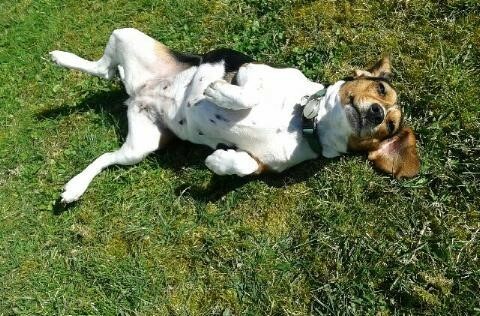 Then I wriggle on my back, and get my BEST belly-rub ever. I especially enjoy the middle of the night. I go to sleep in my big stuffed chair, while mom goes on to bed. Then when she’s sound asleep, I run down the hall and launch myself onto our bed. Then I land like an earthquake. She startles awake, realizes it’s me, and we go back to sleep under the covers. Then we snuggle and feel safe and strong together. It’s especially sweet when one of doesn’t feel good. We get to take good care of each other. I’ve heard that someone said “It’s a dog’s life”. They were so right – I had no idea! This is very different from where I came from. Thank you again for rescuing me; now life is worth living, and I am so grateful. Mom is still busy, so I’ll say good-bye for now. My sun-spot is calling my name. Previous Post You can TRAIN a CHICKEN! Next Post Giving Tuesday is December 1, 2015!